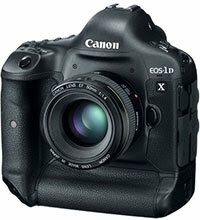 Canon recently put out a service advisory for their EOS-1D X and 5D Mark III DSLR cameras. I have copied the advisory as can be found on the Canon USA website below. Depending upon the shooting conditions, it may take slightly longer for the EOS 5D Mark III and EOS-1D X digital SLR cameras to acquire focus when using the Speedlite's AF Assist Beam, compared with that of the EOS 5D Mark II and EOS-1D Mark IV digital SLR cameras using the Speedlite's AF Assist Beam.